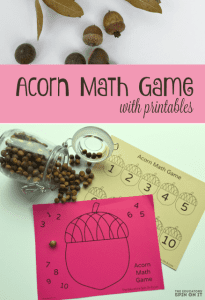 This acorn math game is a great, hands-on way to let kids practice counting and number recognition! 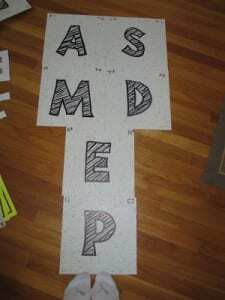 Plus, if you have older kids, you can work on more than/less than or simple addition! 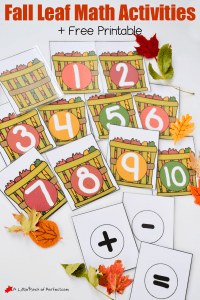 This set of Fall leaf printables is also great for early math skills! Plus, there are lots of hands-on ideas for using leaves if you can get outside! 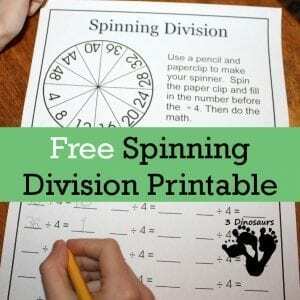 I love these “Spinning Division” worksheets! I’m sure this would make practicing division math facts more fun! This download includes 12 different pages. I was also REALLY excited to discover that Lakeshore Learning has free resources for teachers! I especially like this set of fractions lessons and games. Each worksheet is listed separately, but if you click the blue “Download” button at the top or all the way at the bottom, you can download all the pages at once! With all the fun we’ve been having with pumpkins at our house, I loved seeing this unique math lesson based on World Record winning pumpkins! How many pumpkin pies would it make?? I hope you found some fun and useful teaching ideas! Want MORE free math teaching resources? 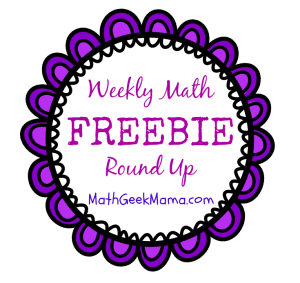 Sign up for my weekly e-mail newsletter, where I share the latest from the blog and math freebies that you can’t get anywhere else! And you can always check out past freebie round ups so you don’t miss a thing!